Benchmark Drinks has experienced exceptional growth in the past twelve months. 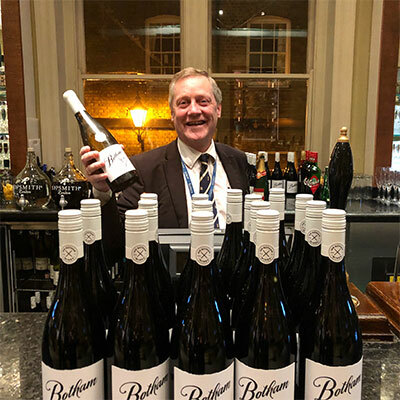 The business has launched Sir Ian Botham Wines and taken on the distribution for Graham Norton’s Wines and Gin. We are always on the look-out for passionate and enthusiastic people to join our team. If you’re interested, please contact info@benchmarkdrinks.com with your current CV. New Zealand wine has become a $1.7 billion global success story because our producers have always had innovation at the forefront of their thinking. This new collaboration between Invivo and Sarah Jessica Parker is yet another example of a Kiwi winery thinking outside of the box; it is an indicator of why New Zealand wines will be even more successful in the future. Graham Norton Sauvignon Blanc has proved widley successful, and is currently the fastest growing New Zealand wine brand in the UK.